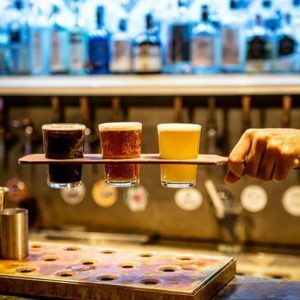 10 London Pubs for Craft Beer Lovers | Food Lovers Tours, Ltd.
St. Patrick’s Day may come once a year, but that shouldn’t stop you from enjoying delicious craft beer any day of the year! 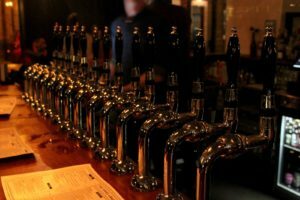 We’ve put together a list of some of our favourite local places to enjoy a delicious craft beer in London! 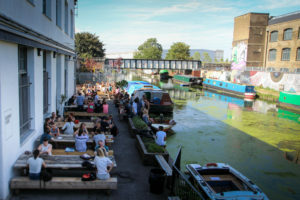 Whether it’s your first time in London, or you are simply looking for a new place to try a pint of heaven, these pubs take craft beer tasting to the next level. 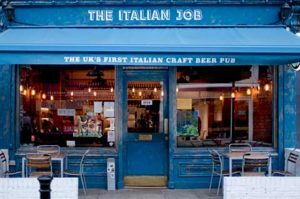 A pub after my own heart – this is the first Italian Craft beer pub in the UK! 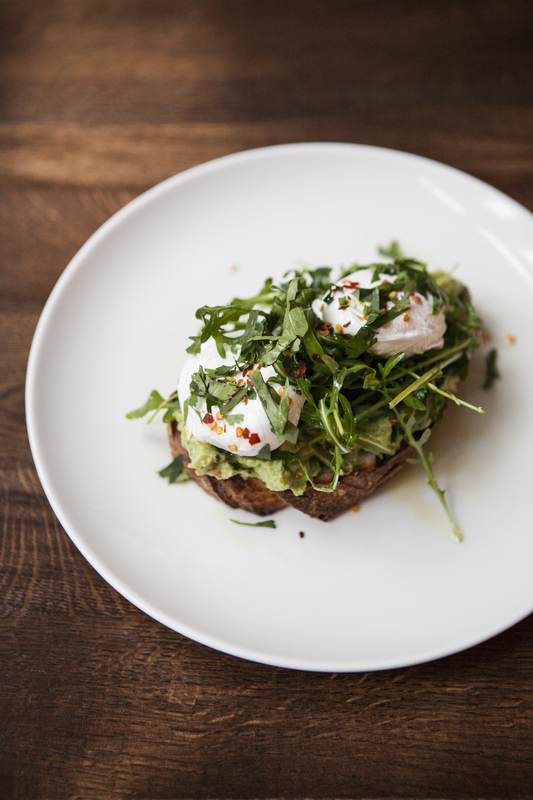 You can step off the streets of London and straight into the heart and soul of Italy’s flourishing artisan brewing scene. 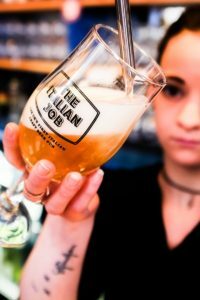 Their awesome range of Italian craft beers served on rotation, is updated on a daily basis and chosen with seasonality in mind. They also offer yummy authentic Italian street food and gourmet burgers. 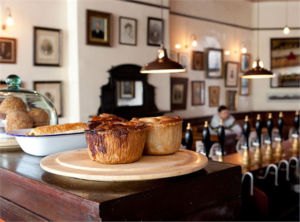 This unassuming shabby-chic pub is located in the hipster borough of Hackney. 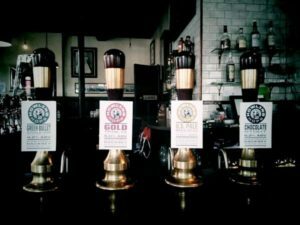 They have a fantastic selection of delicious craft ales – including the fabulous line of Howling Hops microbrewery craft beers. The Euston Tap has 27 lines of draught beer to give you the best possible selection of beer available from all over the world. 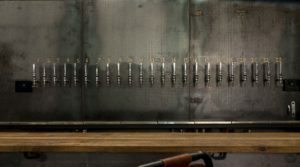 19 of these lines are kegged beers with an ever-changing array of the finest ales, lagers, wheat beers and as yet unnamed styles. 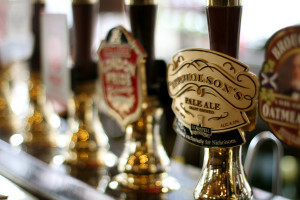 In addition to this we have 8 lines pouring perfectly brewed and kept cask ales. One of the few pubs that exclusively sells beer and cider from small, independent UK producers. 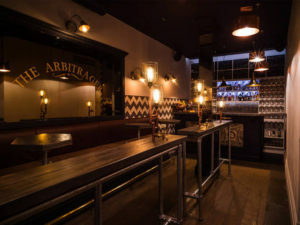 The ambience is classic and they have a great selection of snacks to go along with their delicious craft beer! This place is definitely worth visiting if you are a craft beer lover. Working with only the best producers from all over the world, they bring amazing beer from all over the world to London. 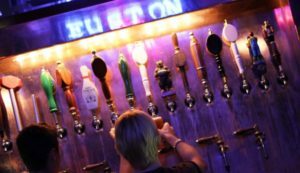 They have a huge selection of quality craft beer on tap. No beer is out of reach in this pub – if they feel it’s worth it, they will even fly it in to ensure freshness. If you are ready to drink your way around the world – Mother Kelly’s is the place to be. 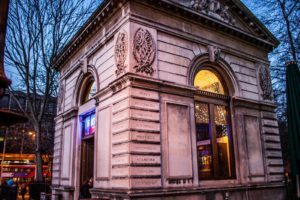 This little city of London pub specialises in everything locally London – Craft beer brewed in London, Gin distilled in London and Charcuterie and snacks made in London. Space is limited and there are no reservations, but it’s a fab place to sample some tasty local flavours! 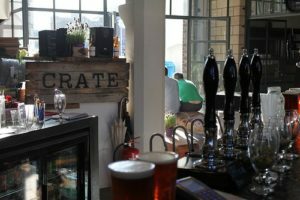 Imagine drinking Craft beer brewed on-site and eating delicious stone-baked pizza, while relaxing in an unusual urban art setting – the crate brewery is all that and more. Not only do they make their own beer, but they also spend a lot of time sourcing fantastic beers from breweries around the world. Their bar showcases an incredible diversity and range of flavours that come from the simple combination of malt, water, yeast, and hops. 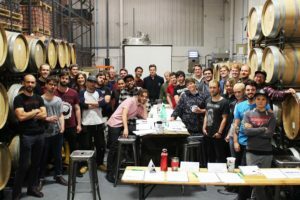 In addition to the pizza and beer, they offer brewery tours – to show you behind the scenes! 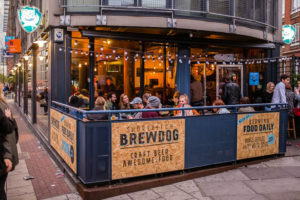 Even though Brewdog is sprouting up everywhere around London, we love this Shoreditch pub. 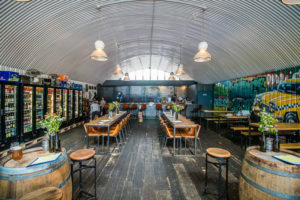 It’s more than a simple hipster hangout – it is the pub that they are constantly re-inventing themselves and featuring the newest ideas and creations that come out of this innovative Scottish Brewery. 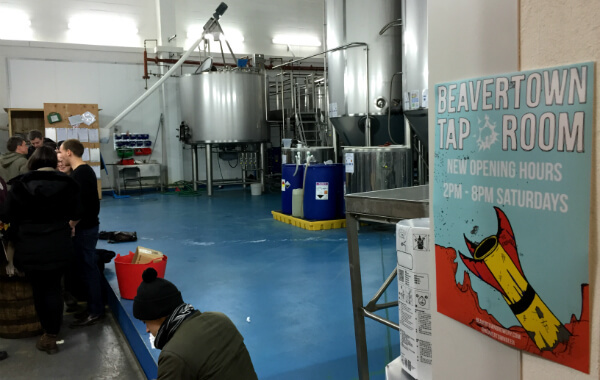 The tap room is only open on Saturdays from 2pm to 8pm, but it’s worth it for sampling the fantastic craft beer selection that they produce at Beavertown. We LOVE these guys! This lovely Victorian pub from 1897, notable for being the smallest historic pub in Soho and its original interior, was once frequented by John Constable and George Orwell. 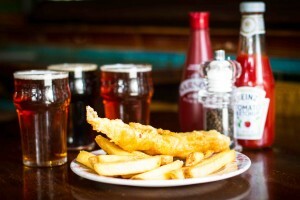 Not only do they have a great selection of craft ales, but they have one of our favourite fish and chips in London. 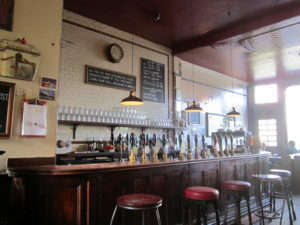 Our Soho International Food Tour stops in this fab pub for a tasting of craft ales and fish and chips! No matter where you go to drink, these places will definitely leave a curious pallet satisfied! 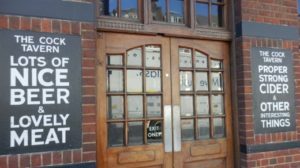 This entry was posted in blog, Drinking in London, Eating in London, Food Tours, Local Hotspots for Food Lovers, Our Recommendations and tagged Ale, Beer, Best London Beer, Cider, Craft Ale, Craft Beer, East End, London Pubs, Pubs, Soho.